Help identify this tail-finned beauty! Photo Picture Classic Cars for sale & Classifieds - Buy Sell Classic Car & Classic Truck Classifieds. Car Photos > Rusty Abandoned Classic Cars from the 50's > Help identify this tail-finned beauty! Help identify this tail-finned beauty! Like too buy the metro. Ed. No, it's no 63. It's a 1960 New Yorker. The 61 and 62 s headlights were slanted. The 63 and 64 had much different body styles with the 64 having small fins(I've got one). 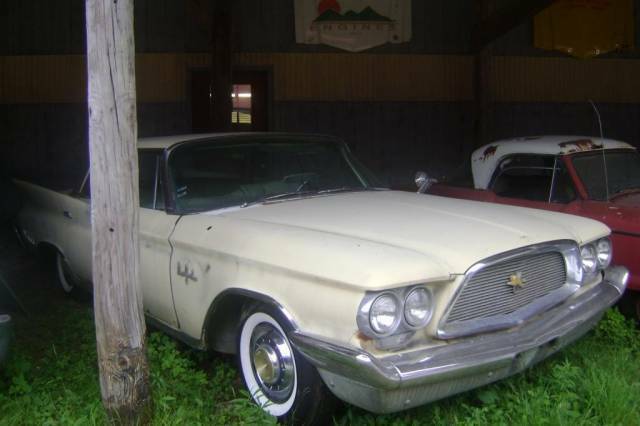 I believe its a 1963 Chrysler 300. This one has the Driver seat to swing out when you go out..? ?